Welcome to the introductory post for 5 Garden Hacking Secrets For The Suburbs. How To Create Permaculture Gardens In The Suburbs. I am your host Tony Teolis and this is smart gardening in action. This is Permaculture In Action. 5 Garden Hacking Secrets For The Suburbs is the culmination of my knowledge of growing food in the suburbs of northern Virginia. I have been successful in turning former grass lawns into interconnected food production systems. 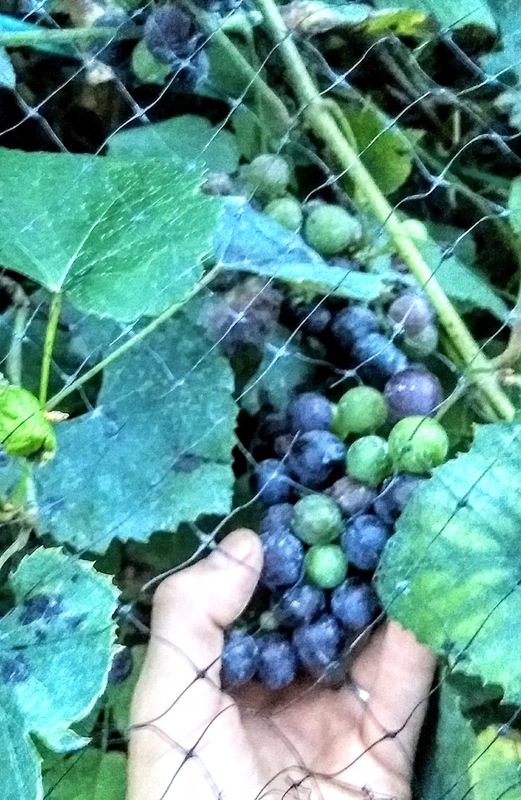 Systems with berries of almost every kind, fruit trees, grape vines, hardy kiwi, and vegetable gardens scattered throughout. Lawns present possibilities of bountiful landscapes that provide food, fauna, and habitat. Create permaculture gardens in the suburbs and truly put food on the table. This is your chance to take a positive plunge into the future and learn how your property can be a producer. To create permaculture gardens in the suburbs you will need the 5 Garden Hacking Secrets For The Suburbs. You will save time and energy ($) with these secrets. I can help you determine what plants will grow for you. Which ones you can count on for reliable production. More importantly, how to grow the ones you enjoy eating the most. If I had to guess I would bet you are a busy person who wants to eat delicious and fresh healthy food. Your time is limited and you try to buy the right food but the grocery store taste leaves no impression. But what if there was no rush? What if you could avoid shopping once or twice a week? Wouldn’t that be fun? No more parking or waiting in line for food you can grow yourself. What if you could get some of your salads each week just by strolling through your suburban yard? Store prices are high, the food is mass produced and you don’t know where it comes from. You eat lots of store bought fruit and vegetables but the flavor is not worth the cost. You need more and better food options and you know having fruit and greens in your diet is good for you. With Permaculture Gardens In The Suburbs that can happen every day. 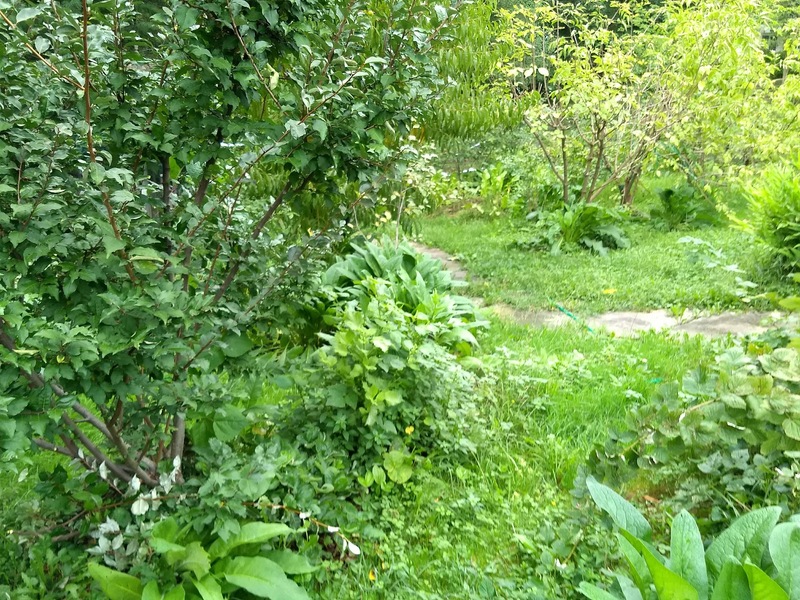 Permaculture gardens in the suburbs are something you might have heard. It’s but it’s simply just a very smart garden and landscape design that mimics designs found in nature. I know what it’s like trying to eat healthy with limited choices. That’s why I began growing my family’s food and spending time perfecting produce. Now I can show you how to create Permaculture gardens in the suburbs. It must be asked in order to seriously think about garden design and your plans. How long do you plan to be at your current home? Would it be worthwhile to leave an orchard or other garden feature for the next buyer? What would it be like to teach your children how to pick their own fruit from their trees? If you can imagine it, you can plan for it. Create Permaculture gardens in the suburbs and you will have a legacy to pay forward. Other questions to consider are: What food does my family like? How will the work get done? How much will this cost? My mind rambled with possibilities and I began to read more about the potential my small piece of suburbia had to offer. 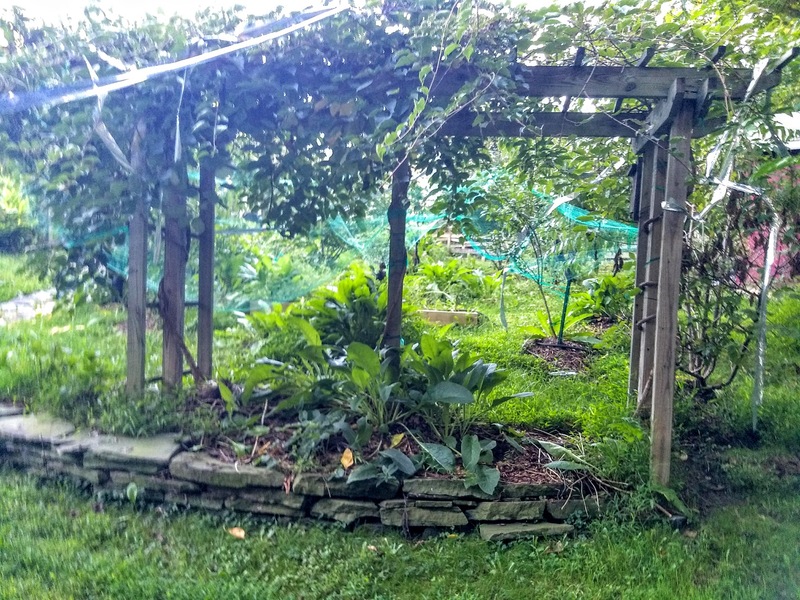 Year round beauty and food are the results of Permaculture gardens in the suburbs. 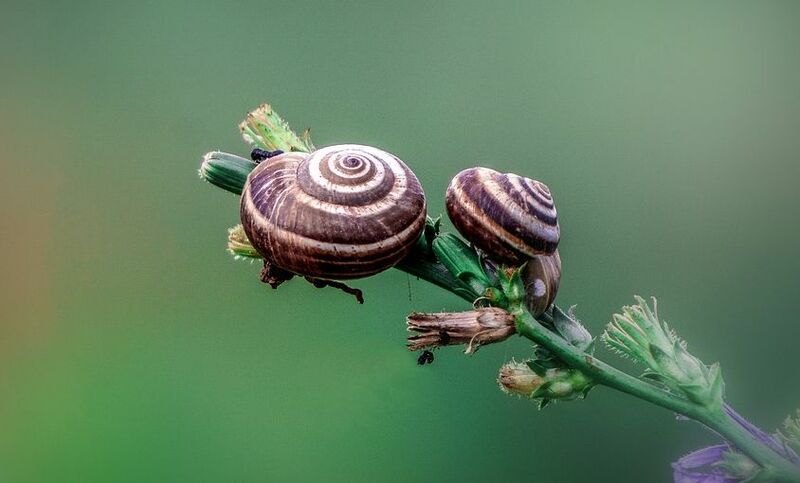 The interconnectivity of the various gardens allows for some very beneficial interdependent relationships. When you grow your own food you will realize a difference in price and quality that will have you asking for more. Once you start eating your own food you will feel healthier and happier. You and your family will have a pure source of nourishment in your life. What are your options for creating Permaculture Gardens In The Suburbs? Well, you have two. Grow indoors and or outdoors. For outdoors the information I present is based on my experience in Virginia. I live in USDA Plant Hardiness Zone 7a which is a narrow band stretching east-northeast from New Mexico through New Jersey. However, the lessons I provide can be practiced almost anywhere. Before we go any further check your USDA plant hardiness zone. You can search by zip code or state. 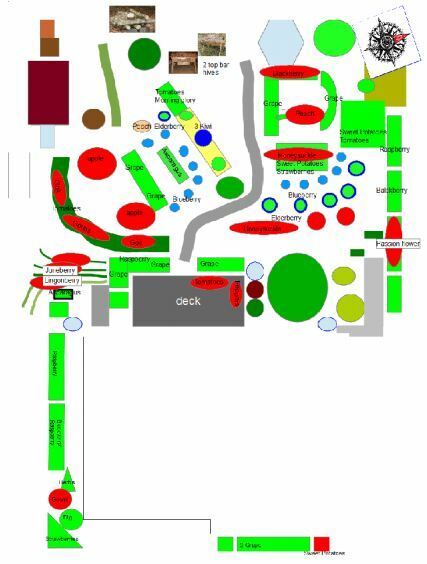 For outdoor gardening – Diagram your space and this is most important – contact 811 Know What’s Below before you dig. It only takes a few days to get the markers out of where the utilities run under your property. Free of charge and could save your life. The markers will show where you must not dig or place gardens. Anything directly over the utilities has less chance on longevity than other places. While you are waiting for the markers to arrive use your favorite MAP app to cut and paste your property onto a plain doc or presentation file. Keep track of the sun on your property between the hours of 6 am and 8 pm. Use a pencil to trace shade and sun on your property on the map file you started. Measure the space of possible growing areas in your yard with a long tape measure and note them. Take lots of photos of your property and the possible growing areas. With the resulting information, you will have a much better idea of what is truly possible. 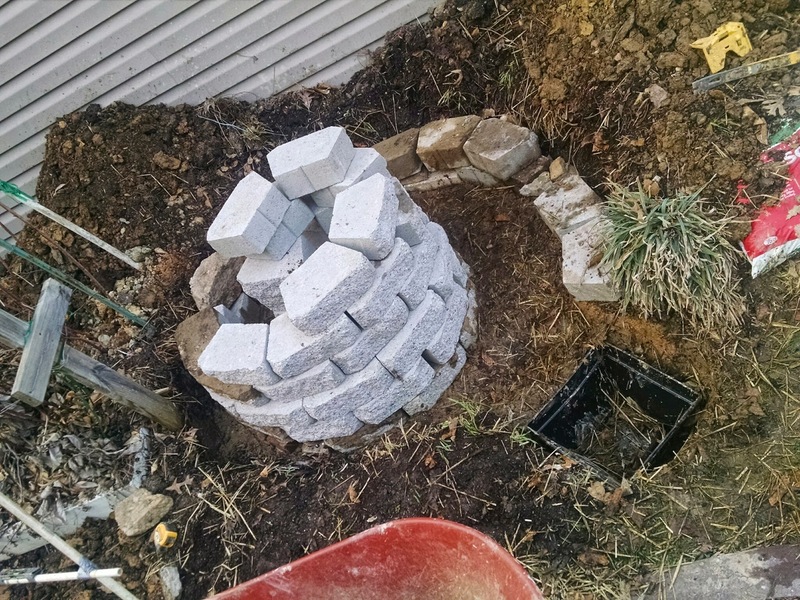 This is the first step to create permaculture gardens in the suburbs. Indoor gardening offers the most efficient way of reaping large rewards for little time and effort. You can learn to start seeds, grow sprouts and microgreens, manage a hydroponics flood and drain tub with year-round produce. Indoor gardening offers many versatile ways to grow your own food. I have learned that indoor and outdoor gardening go to together and help complete the biosystem that my property has become. Permaculture gardens in the suburbs don’t have to be limited to the outdoors. In fact, Indoor growing can result in wheatgrass, sunflower, microgreens, sprouts, pea shoots and more. That’s just the start. There’ tomatoes, cucumbers, herbs of all kind and flowers to grow inside as well. Even just today September 15, 2018, I harvested a pack of peppers, a couple of pounds of sweet potatoes, some tomatoes, cucumber, parsley, and kiwi. Yeap that’s right. Kiwi! Not many, in fact just a handful as you can see/. 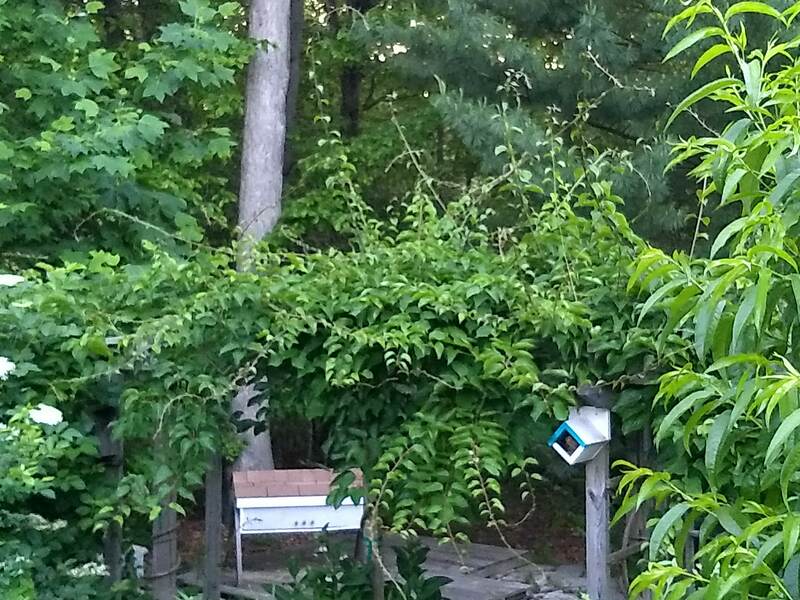 There’s only about 20 or so going on the vine arbor. I was waiting for them to ripen and waited too long. I gathered what I could today to ripen inside. The early ones are tart but the texture is great. They’re the size of a large grape and can be eaten the skin and all. I did get one perfect juicy one and the sweetness was tremendous. It’s been a 6-year wait and they are really supposed to produce in the 7th. We’ll see what mother nature has in store next year. So far so good and so tasty. 2019 Garden Planning Tip – I use Mothers’ Day each year as the last frost date. You will have to determine your own. With Victory Seed’s site, you can but I recommend adding two weeks to the last frost date and subtracting 1 week from the first frost date. Disclaimer in effect. 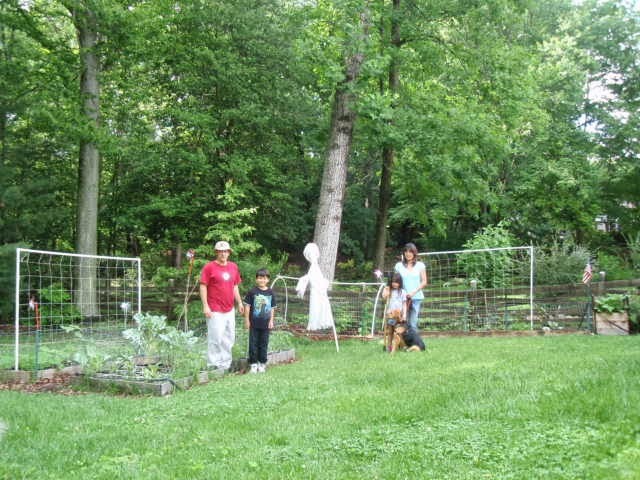 I learned 5 Garden Hacking For The Suburbs because I wanted to grow food for my family. I started collecting vegetable seeds even before I had a place to sow them. We were still living in an apartment in the summer of 2008 when I made my first purchase of seeds from Big John Lipscomb. His website and YouTube videos helped me understand that there were some things that I could I have influence over and one of them was growing your own food. gives you greater control of what you put into your system. I truly wanted to feel a sense of liberty by taking a tiny single seed and producing a plant to feed my family and then later retrieve dozens or hundreds of new seeds from that same plant. For me, the anticipation to grow food from seed was as exhilarating as hunting, fishing and sports. All of those things require hard work, patience, and perseverance and gardening is no less of a challenge. Over time Permaculture In The Suburbs resulted in practical and productive gardens. They became resilient in my front and back yards. A backyard vision transformed over years and perfected to the reality of life-giving food and flowers. The gardens will remain resilient and reliant as long as the balance within nature doesn’t tilt too much one way or the other. As I write this in September 2018 we have had a 300% increase in rainfall this summer. This is how things were Before and After thanks to Permaculture gardens in the suburbs. I created 5 Garden Hacking Secrets For The Suburbs because I have been gardening for 10 years and I want to share with you the best ways to grow food and flowers in the suburbs. You too can have great food without working too hard or spending too much money. One method you can use is companion planting. 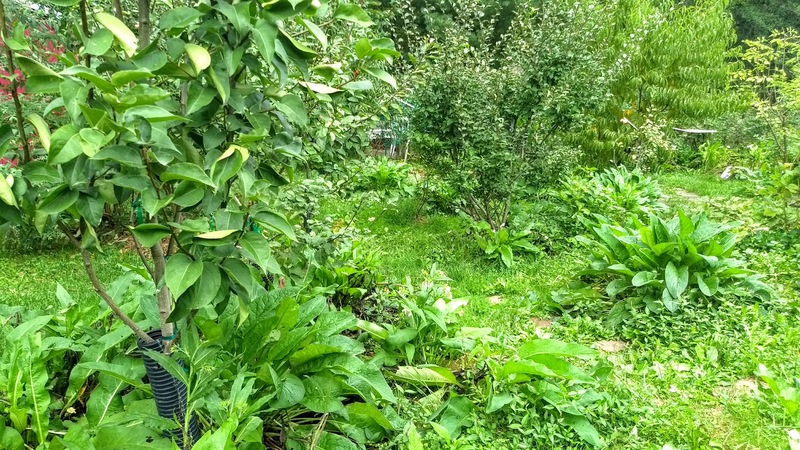 In Episode-258 – From Microsystems to Macrosystems Permaculture Practice In Suburb — I present one microsystem amongst the many that make up our food forest. It is a representation of how to incorporate several permaculture principles into one functioning system. Without 5 Garden Hacking Secrets For The Suburbs mistakes abound. I had no idea how to create Permaculture gardens in the suburbs. However, my desire to make something useful helped me to persevere through the first trying months. I jumped right into gardening without first observing my new surroundings. Also, I underestimated plant needs in order to grow productively. For example, sunshine means “sunshine”! Without a direct line of sight to the sun, most plants that I wanted to grow couldn’t. My backyard was mostly shade and received about 2-6 hours of direct/indirect sunlight. I had to learn to plot where the sun shone during the day so that the plants I started in its path would have a chance at survival. Nothing is 90°. There are no straight lines in nature, yet that is what the suburbs strive for with trees that don’t produce fruit and lawns kept neat and trim and at right angles. Moreover, the area of grass typically found between the sidewalk and street is almost always barren. So much wasted space growing grass. 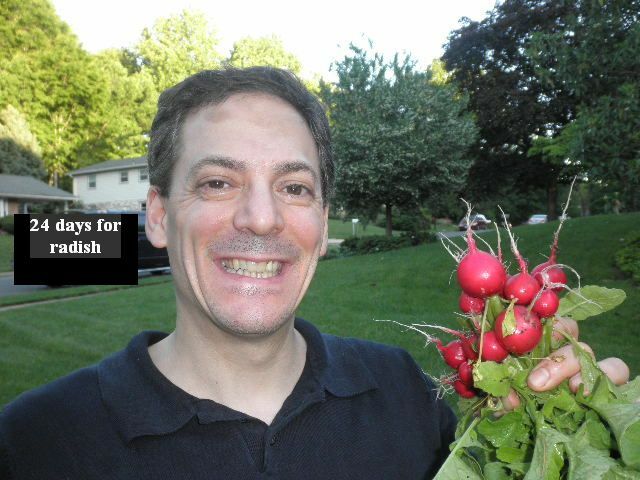 See Episode 265- Planting Season And Guide For Northern Virginia There I refer to getting ready for growing season 7. It was winter when I published it but planning for spring gardens was well underway. Even though it’s just September it’s not too early to begin planning for spring. A good season begins with a schedule, seeds, and soil. All of which can be prepared in advance of creating and building Permaculture gardens in the suburbs. As summer once again draws to a close here in Virginia it’s important to note what has survived and thrived and what has not. The video presented is from 2013 but here is a photo from today. You will see white PVC pipes where there are now ditches on contour supporting fruit trees and berries of all types. Click here 2019 Planting Times – this is helpful if you buy store plants or begin from seed.